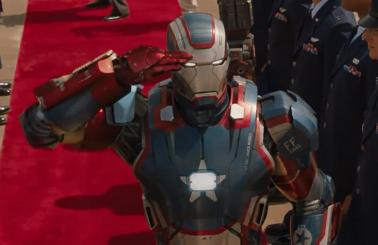 "Basically," President Barack Obama said yesterday, "I'm here to announce that we're building Iron Man." The Commander-in-Chief is joking, of course, dropping the Marvel reference during a speech yesterday announcing a pair of Department of Defense-led Manufacturing Institutes (one in Detroit and one in Chicago) designed to spur the same kind of innovations one might see Stark Industries bringing about in the Marvel Universe. To his fanboy credit, Obama kept running with the joke. "I'm going to blast off in a second," he continued, tongue planted firmly in cheek. "This has been a secret project we've been working on for a long time. Not really… Maybe. It's classified." If you'd like to learn more about the real-life implications of the planned institutes, you can read the DoD's full press release right here. You can also check out Obama's speech for yourself in the video player below, courtesy of CNN.